China on Monday set its Gross Domestic Product (GDP) growth target at around 6.5 percent for the year 2018-19, according to a government work report. The figures are, however, slightly lower than previous figures of 6.7 percent in 2016 and 6.8 percent in 2017 respectively. China will still remain as one of the world's fastest-growing economies in the world. "Given China's economic fundamentals and capacity for job creation, GDP growth of around 6.5 percent will enable China to achieve relatively full employment", Chinese Premier Li Keqiang said at the first session of the 13th National People's Congress (NPC), China's top legislature which is underway. According to the report, the country aims to create over 11 million new urban jobs in this year and to maintain an inflation level at around 3 percent. The surveyed urban unemployment rate is forecasted at 5.5 percent and the registered urban jobless rate is pegged at 4.5 percent, Xinhua reported. "The above targets take into consideration the need to secure a decisive victory in building a moderately prosperous society in all respects, and are fitting given the fact that China's economy is transitioning from a phase of rapid growth to a stage of high-quality development," Premier Li said. The projected GDP growth rate for 2018-19 is nearly the same as that of previous two years, as China plans to prioritise the growth quality over pace. "The projected growth rate reflects China's position of not over-emphasizing speed but stressing improvements in the quality and effect of development, according to another report from the country's top economic planner. 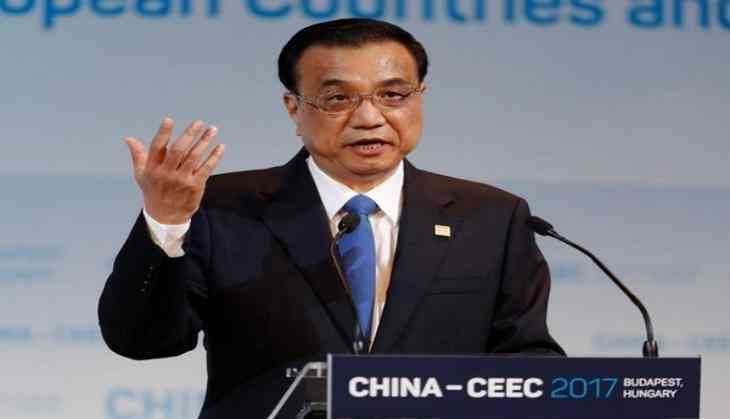 We will strongly promote high-quality development," Premier Li added. According to global China watchers, the country should be able to achieve the GDP target "without much difficulty". The International Monetary Fund (IMF) raised its forecast for China's GDP growth from 6.5 percent to 6.6 percent in January, amid a positive outlook for the recovery of the world economy, which had seen a meltdown in the last few years. Various international investment banks such as J.P. Morgan, UBS and Nomura have also revised the communist country's GDP growth to as high as 6.7 percent.